These simple steps will help you eat the Med Way every day. Replace some of the meat in your diet with plant proteins such as beans, nuts, and seeds often. 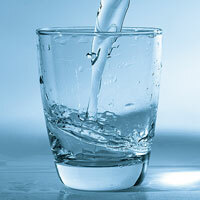 Eat fish and seafood at least two to three times per week. 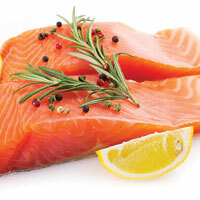 Include fatty fish, such as mackerel or salmon at least once a week. Eat fried fish only occasionally. Choose white-meat poultry such as turkey or chicken breast. Limit red meat and/or choose lean red meat. Greatly limit or eliminate processed meats. Replace solid fats such as butter or margarine with olive oil or canola oil. Use olive oil for cooking, in dressings, and marinades. 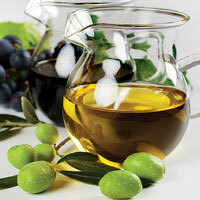 Aim to consume at least four tablespoons of olive oil per day, while keeping within your calorie budget. 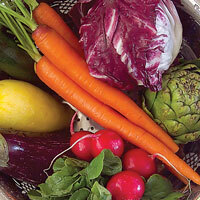 Get at least three servings (three cups) of vegetables per day. Eat more dark green leafy vegetables such as collards, kale, spinach, chard, and turnip greens. 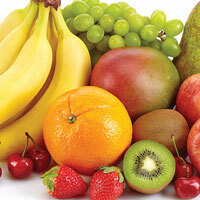 Get at least two servings (two cups) of fruits per day. 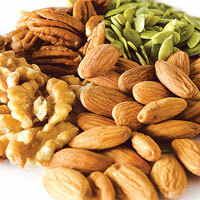 Choose at least three ounces (three small handfuls) of nuts and seeds per week, while keeping within your calorie budget. Avoid candied, honey-roasted, and heavily salted nuts and seeds. 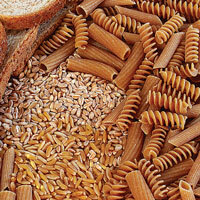 Choose whole grains such as oatmeal, quinoa, brown rice, and popcorn. Look for “whole” in the first ingredient on the ingredient list (e.g., “whole wheat”) when choosing bread, pasta, and other grain-based foods. Choose no more than three servings per week of high-sugar foods and drinks such as sugar-sweetened snacks, candies, desserts, or beverages.